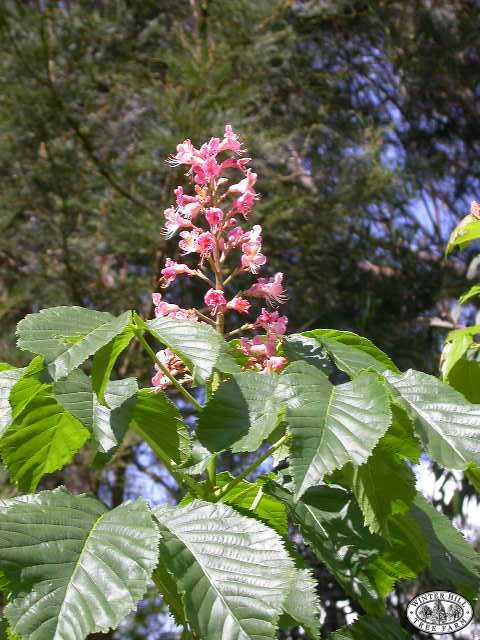 Strikingly beautiful horse-chestnut covered in early summer with large heads of flesh pink flowers with darker spots. Lovely golden autumn colour. Smaller and less common than its parent A. hippocastanum. Slow growing with a nice rounded shape. Needs moist soil conditions. Fruits are not edible.